Alfred Hitchcock is most often remembered for his use of suspense, his cameos, and his icy blonde female leads, but a new video offers up another Hitchcockian trope: eyes. Visual essayist Kogonada—who often highlights directors’ stylistic choices—illuminates Hitchcock’s fascination in a new video for The Criterion Collection. 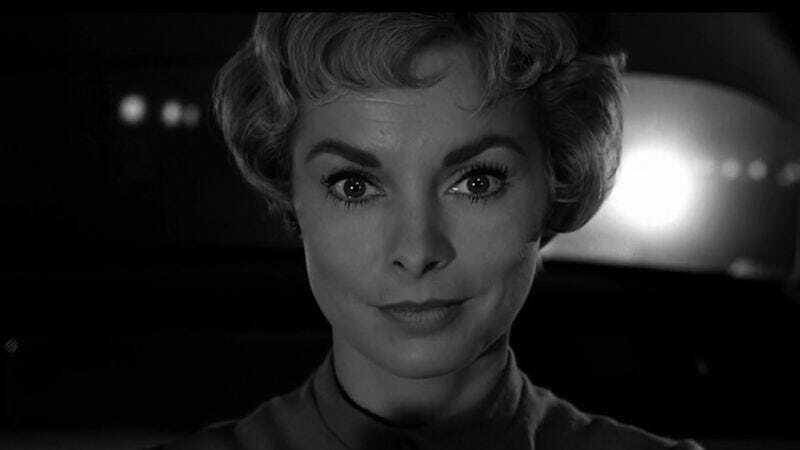 Titled “The Eyes Of Hitchcock,” the video pulls examples from Psycho, The Birds, Vertigo, North By Northwest, and plenty of other Hitchcock classics. In film after film Hitchcock frames medium close up shots so that his actors’ eyes are near the center of the frame and look directly into the camera, thus drawing the audience into the mindset of the character. There’s an almost comedic energy to Kogonada’s video because of the way it repeats short shots on a loop. But given that Hitchcock’s films often blurred humor and horror, that feels like an appropriate technique with which to celebrate him.